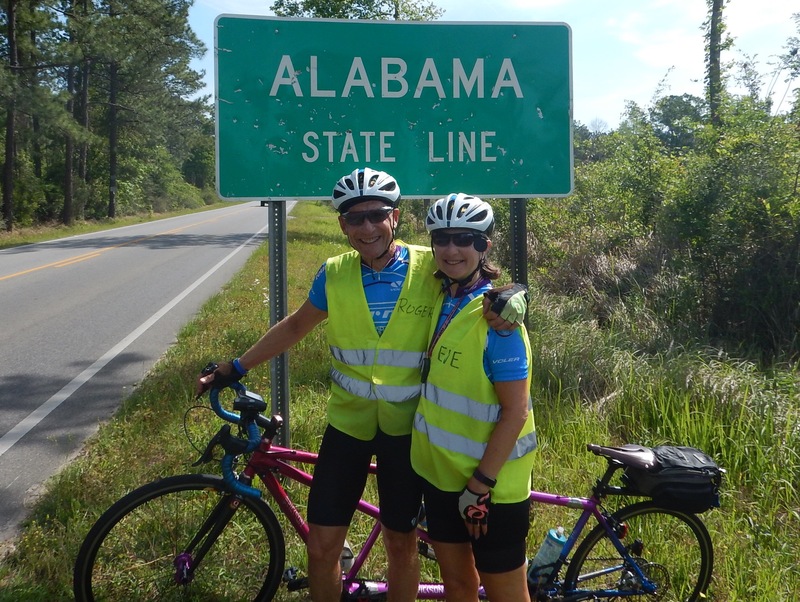 A very windy day made it a tough slog out of Mississippi. The terrain was not hard, but the headwind and mileage on tired legs made things difficult. Mississippi, we thank you for the southern hospitality! It was a short visit, but the rides were gorgeous and the roads unexpectedly smooth. 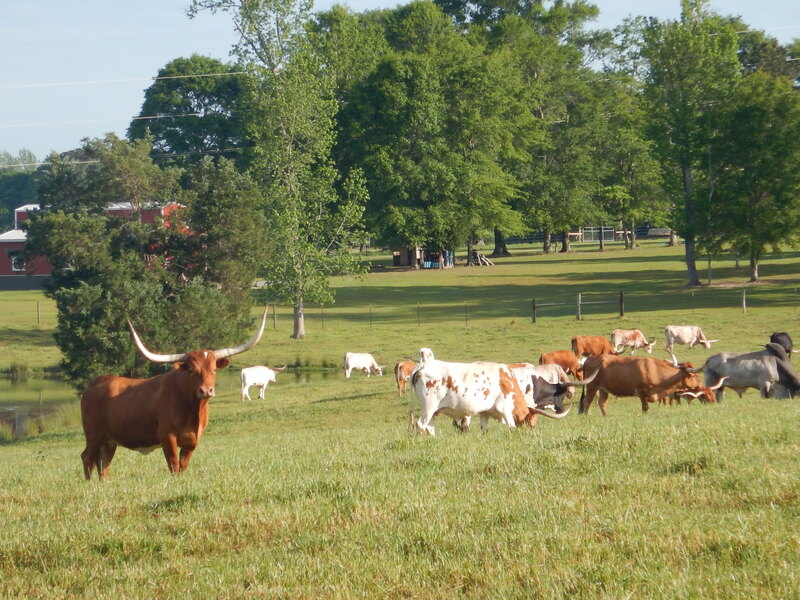 The surprise of the morning was the herd of longhorns posing for pictures. More than we saw in 19 days crossing Texas! 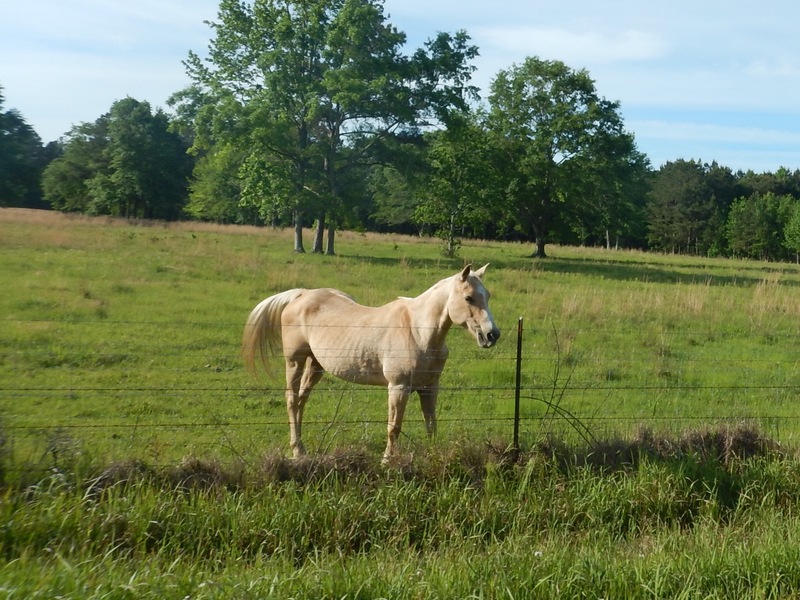 Perhaps the Texas Longhorns were hiding out on the back 40 and weren’t visible while we were passing through! 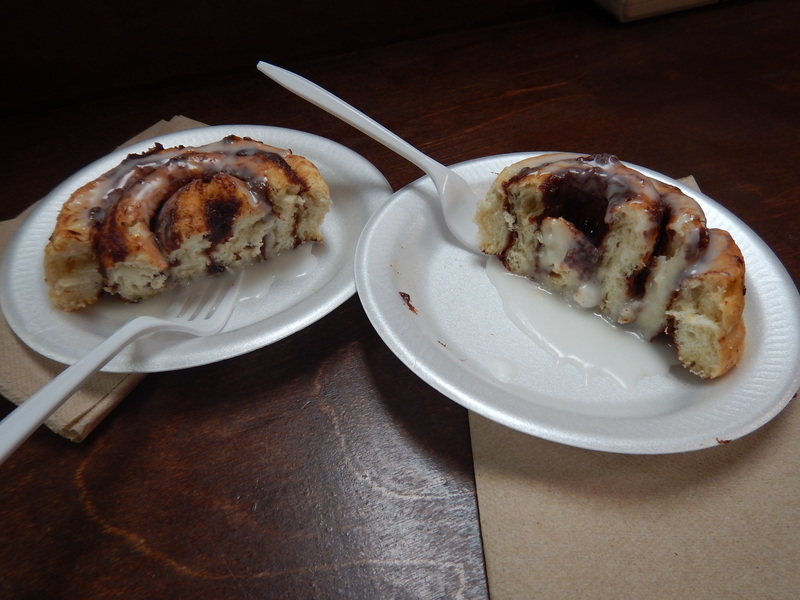 Our first rest stop of the day included the best cinnamon buns of the tour. How could we pass these up? 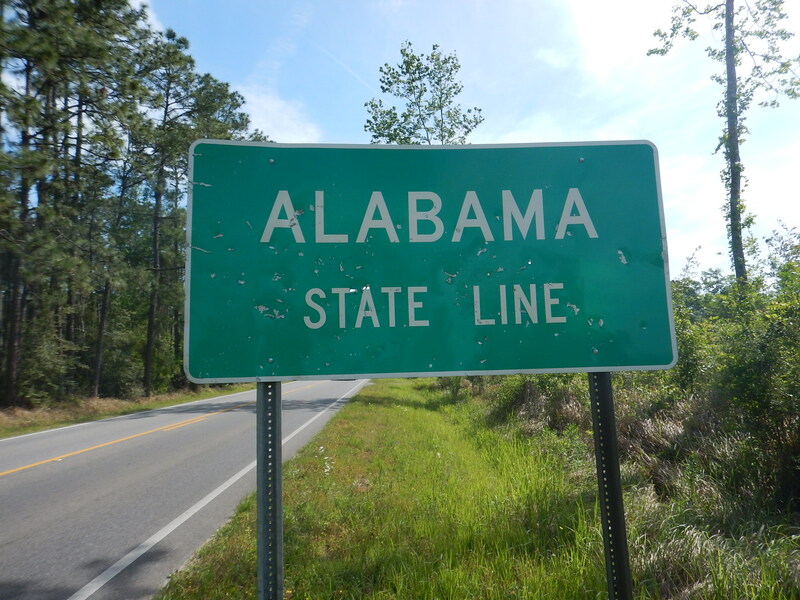 We are now in our 7th state. Although this sign has bullet holes in it, the welcome is still appreciated. Our lunch could have come from one of these boats. It was that fresh. 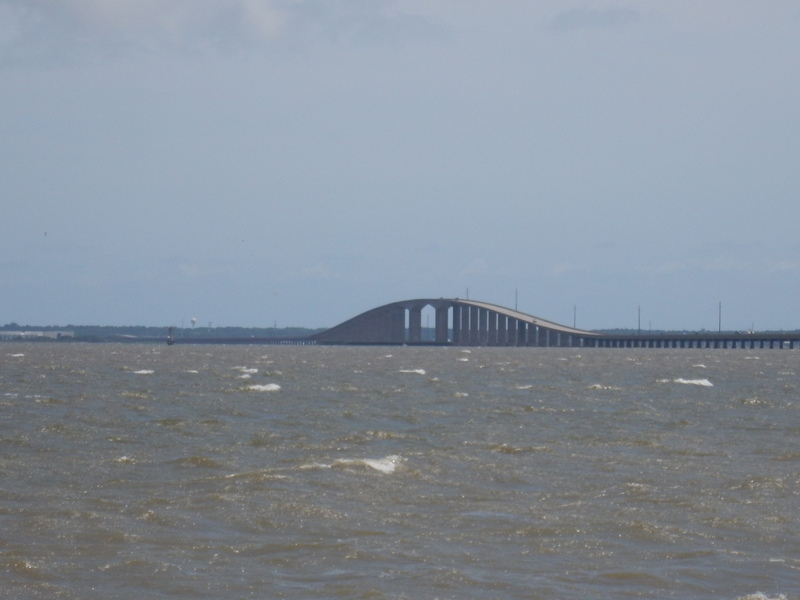 The day concluded with a brisk headwind while climbing this bridge into Dauphin Island. Mobile Bay was not happy with the wind and neither were we. Did we make it? The stoker recovered from a slight “bridge meltdown” and took this picture on the other side. Our reward? We are off the bike tomorrow, but stay tuned to this blog as we meet the staff that makes us pampered pedalers. Wow! Those are some whitecaps! It’s windy here today too. Glad you had good fuel (cinnamon roll) for the ride. You guys are amazing! Every stoker deserves a good meltdown. We were just there! 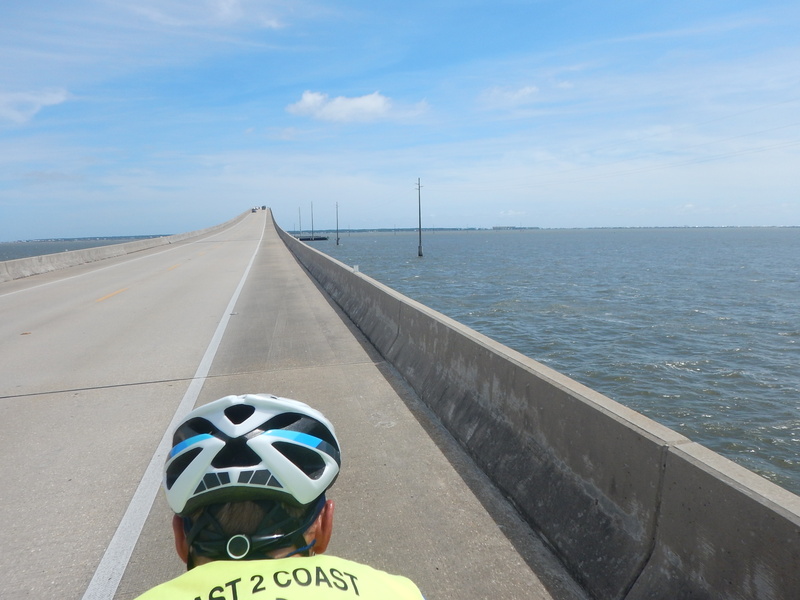 Oddly, we had the worst headwind I have ever ridden in while crossing that very bridge, in the opposite direction (on our way from Dauphin Island to Mobile). 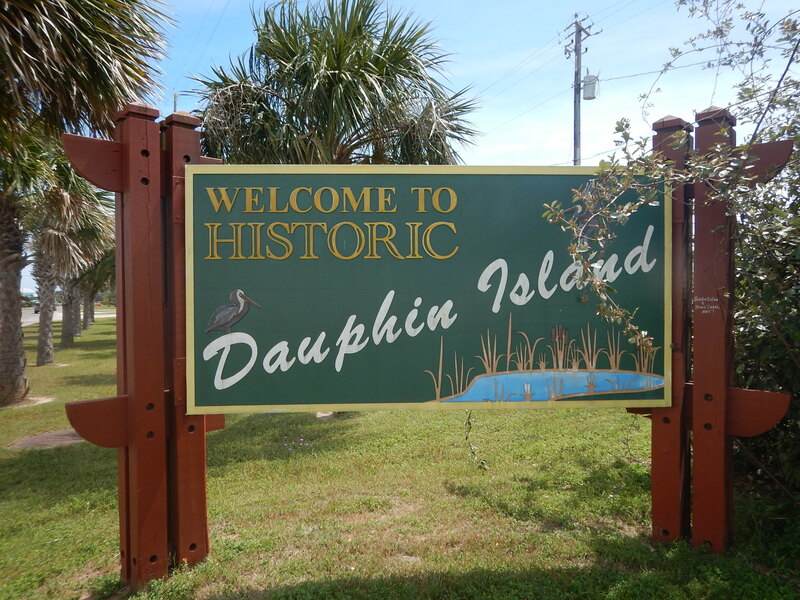 Enjoy lovely Dauphin Island! There are excellent cinnamon rolls (and cream cheese peach danish) to be had at The Lighthouse Bakery there. 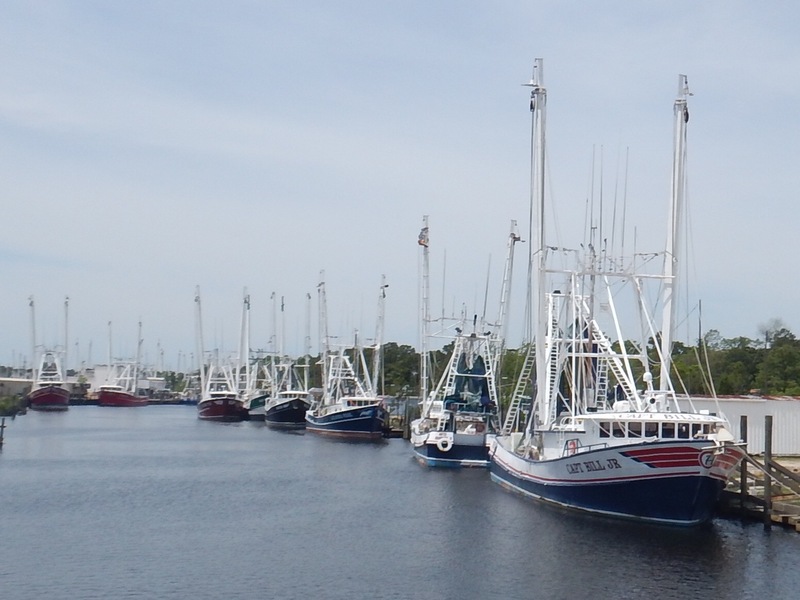 Boats, bird sanctuary, beaches, and beauty all around you! Great ending to a bridge climb and windy day. Rest well. How cool! Our stoker has fond memories of Dauphin Island from family camping vacations when she was not long off trailing wheels. I have loved this blog. Thanks for sharing all with us. One meltdown in all this time. Eve is my hero! In spite of the whitecaps in Mobile Bay… very nice. Beautiful pictures. I am just trying to imagine what “Stoker Eve Meltdown” looks like. You are always so calm and collected. I want details. Did anyone get a video? Thanks Mark – see my response to Britt above! Thanks for your heartfelt honesty. I am always glad to know that I am not alone when it comes to melt downs. I agree with one of your other friends that I can’t imagine an Eve meltdown. You have always been so calm and collected when I have seen you. Your pictures are so cool and I continue to enjoy seeing places that I have never been through your eyes. Great job to Roger as well. The meltdown happened AFTER the crossing when we were safely on the island. So much wind, low guard rails, traffic just flying by, some pulling boats and RVS – going so fast, large shoulder filled with debris and glass. After we were safely across I said “stop the bike, I have to get off” and just lost it. Got composed and we finished the ride. Roger did an amazing job navigating through it.